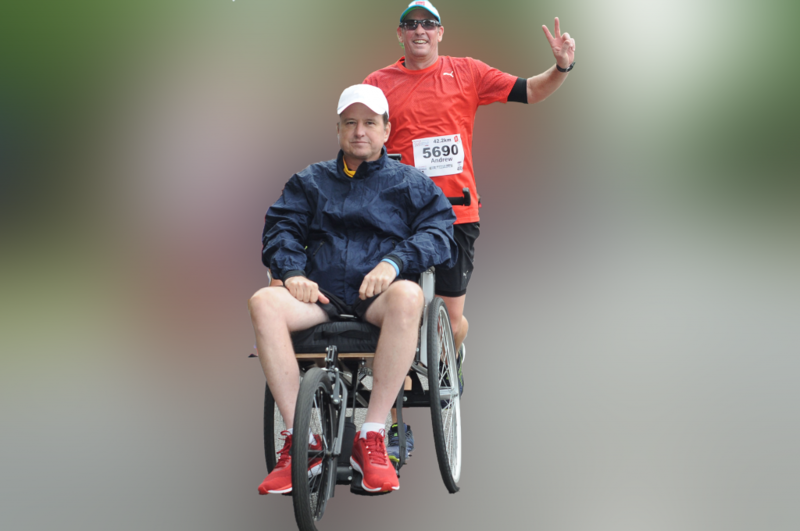 Grant was diagnosed with Multiple Sclerosis 11 years ago. A terrible, debilitating disease that has robbed him of his mobility. He will never again experience the joy of playing sport again or simply taking a walk. He lives in constant pain and never ending fatigue. He was an active and successful sportsman who loved to run, but never had the opportunity to run the Comrades marathon. 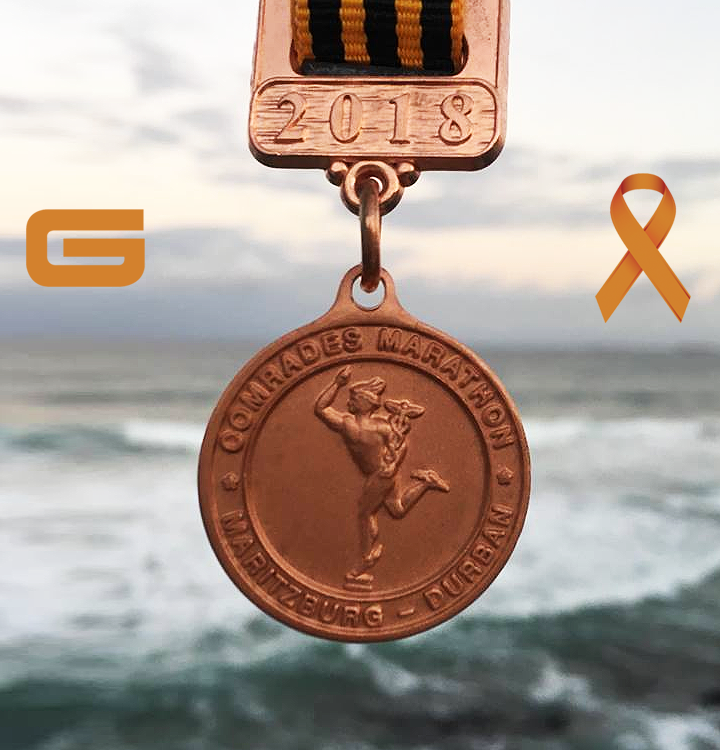 Andrew Murray has bravely raised his hand to push Grant in the 2018 Comrades Marathon. 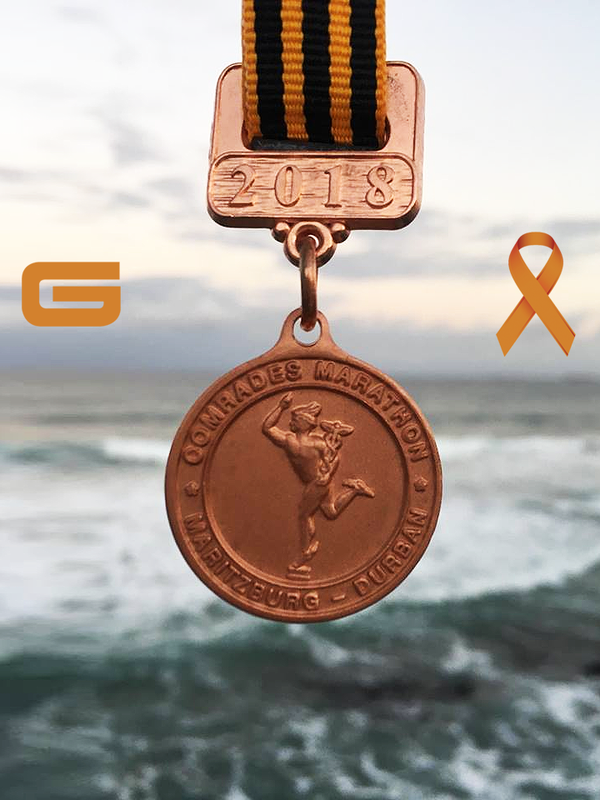 This is so much more than just the Comrades, it’s an opportunity for Grant to be a part of something that he had given up on. This incredible gesture by Andrew started this fundraising journey. Andrew, this is a story of true friendship triumphing over hardship. Cuzzie, you started this, you have given Grant a new purpose. He has felt the wind in his hair again, he is part of something that was robbed from him. He so loved running and to watch him pin his number onto his shirt again was a moment I will treasure forever.